Right now, a plastic island the size of Texas (or bigger) floats adrift on the Pacific Ocean between California and Hawaii. It’s a collection of straws, water bottles and lighters — all things that we don’t need to keep buying and using and wasting. 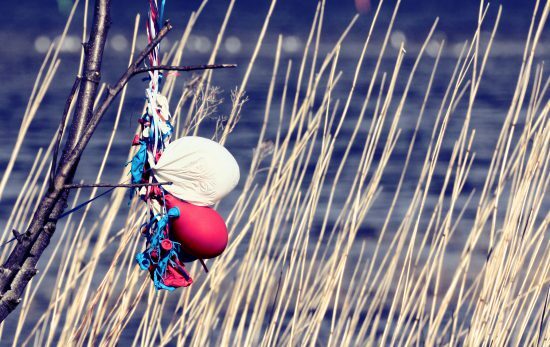 These plastics contribute to habitat destruction and entangle and kill tens of thousands of marine animals each year. 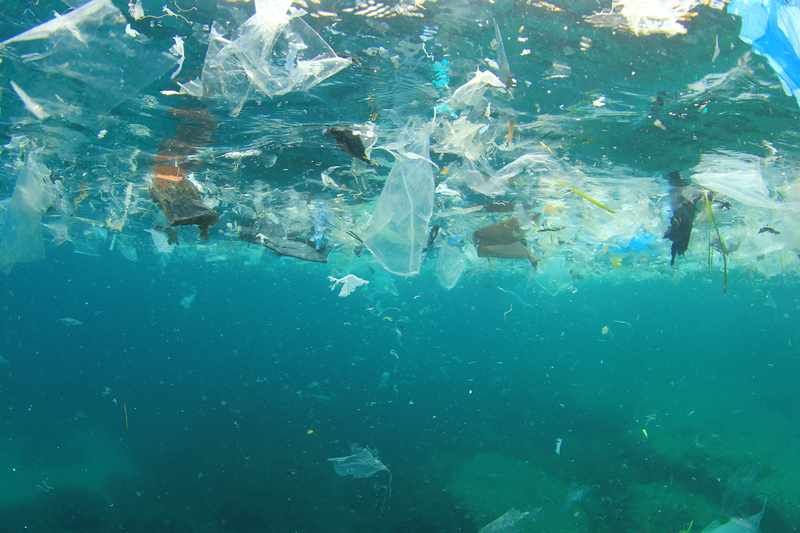 This is the reality of the Great Pacific Garbage Patch. It’s not what people think it is, it is not actually garbage (most of that sinks to the bottom)-it is mostly a microplastic soup, and sadly enough an estimated 750,000 tonnes of fishing nets. 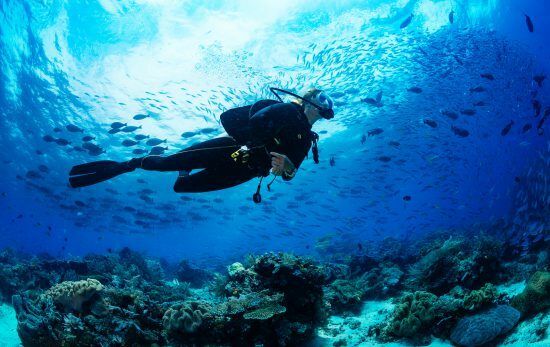 Here are tips from Katie Thompson, PADI’s Director, Global Brand Development + Marketing, on ways to make small — and big — changes today to reduce your plastic waste. Carry your own water supply! Hydration at its best – carry the water you need and reduce your impact on the environment – one Nalgene bottle can last for decades, making it easy to stop buying single-serve bottled water to fulfill your everyday hydration needs. “One water pitcher filter can effectively replace as much as 300 standard 16.9-ounce bottles. So you can get great-tasting water without so much waste. Talk about refreshing.” – Ban the Bottle. What can you do? 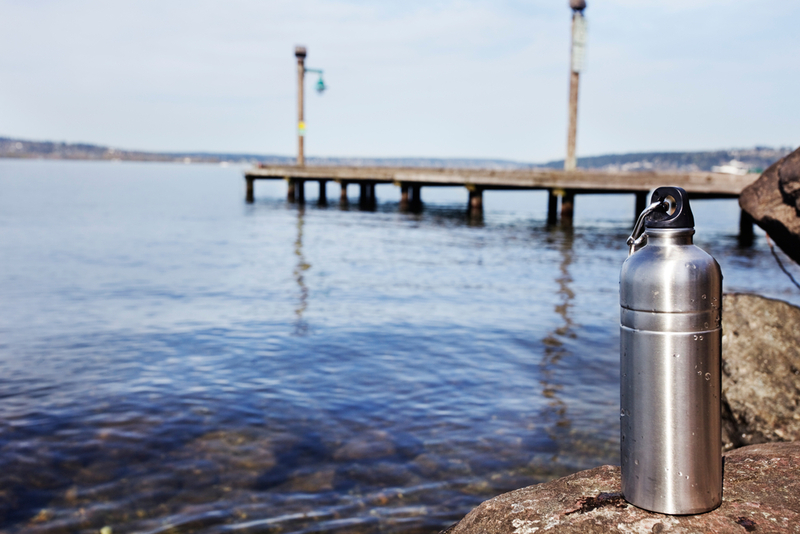 Carry a BPA-free Nalgene and refill it from the tap, home water filter or filling stations. You can even take it into restaurants and use it in lieu of their single-use cups. Reduce or avoid using plastic straws and drink lids. I typically ask my waitress or bartender to leave out the straw. If you are a straw-crossed lover, consider a shatter-proof glass one – an eco-friendly trend that even Oprah stands behind! Bring your own reusable cloth bags when you go shopping. I keep extras in the trunk of my car and after unpacking, I place the bags by the front door and replace them for my next shopping trip so I’m never caught without my bags! Reduce the packaging in your life. Buy personal items at places like Lush, which are dedicated to eliminating unnecessary packaging and plastic use. The company uses natural and vegan ingredients, and reduces how many plastic containers they put into the environment. 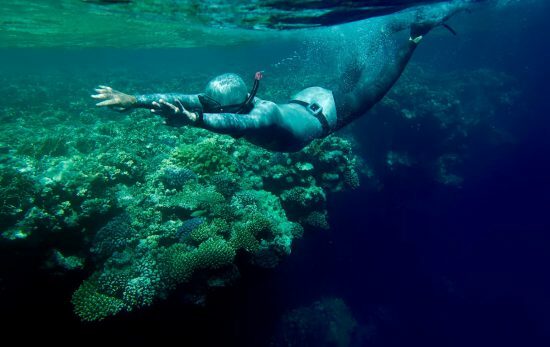 PADI AmbassaDiverTM, Alex in Wanderland, wrote a great blog on how Lush changed her travel beauty regime. Want to check the eco-friendliness of your products? Check out Good Guide. Don’t waste more plastic on fresh produce. Try to avoid putting fruits and veggies in individual plastic bags or buying items in plastic containers when buying in bulk or sans container is an option! 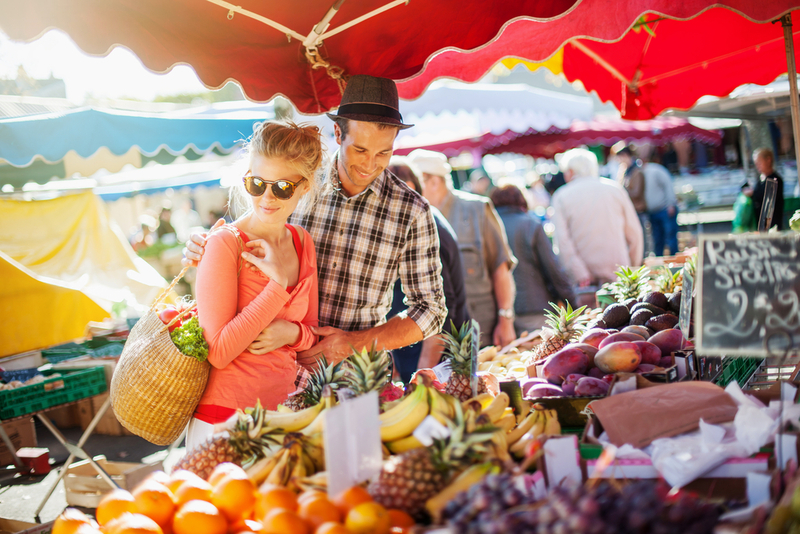 I shop at farmers’ markets and bring fun, reusable cloth bags for my goodies. Scary fact! 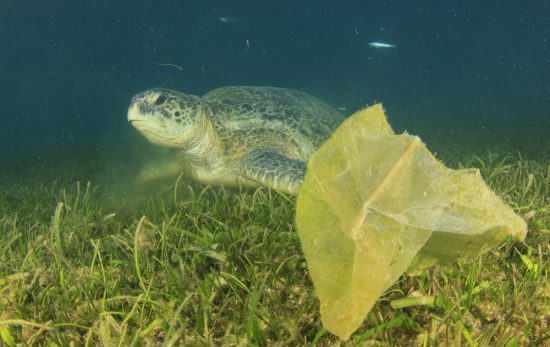 According to the Environmental Protection Agency, which has been collecting plastic bag statistics for more than a decade, roughly 2% of plastic bags are recycled in the United States. The rest are left to live on indefinitely in landfills or decompose in our oceans, where they leech toxins into the water and soil…and very likely into our bodies. When time permits, dine in! Dining on location helps avoid unnecessary use of plastic and Styrofoam containers, plastic utensils, condiments and to-go bags. If you do place a take away or to-go order and don’t need the ‘extras,’ ask them to leave them out of the bag. Extra credit if you carry your own to-go containers instead of using theirs! Try this. Buy a fun, reusable coffee cup for your daily Starbucks order. This could save a cup and plastic lid a day if you’re an addict! Scary fact #2! For now, we know that in their last annual reporting period, Starbucks likely used between 2.916 and 2.946 billion cups at their stores, or an average of 8,070,428 cups per day. Interestingly, Starbucks’ own website states that they “account for approximately 4 billion cups globally each year”. OMG! 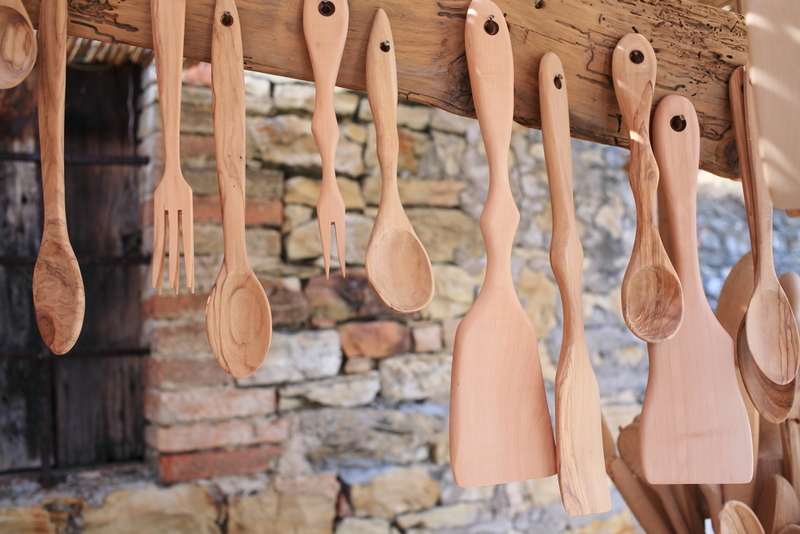 Order reusable bamboo cutlery, like a set from Patagonia which comes in its own utensil holder for easy storage in your backpack, car or purse. It’s an awesome conversation starter! Once you have a set of reusable utensils, be sure and ask restaurants to avoid packing to-go orders with plastic ware. Buy bulk. Grocery stores offer foods like coffee, granola, nuts, rice and quinoa from bulk bins. You can bring your own container to places such as Whole Foods, and they will deduct that weight from the total bill at checkout. Zero Waste Home can help you find stores offering the bulk-bin option. Even cheese and meat can be purchased sans packaging. Bea Johnson, author of the book and blog by the same name, Zero Waste Home, brings her own cloth containers to the cheese monger. Listen to Bea’s Ted Talk for more great tips on how to live a Zero Waste lifestyle! Take a microscope to your daily regimen and see where you can make a small change that will have a big impact! Start with the products in your bath or shower. Switch to multi-purpose products and buy bigger sizes. Soaps like Dr. Bronner’s can be purchased by the gallon, and used as body, face and hand soap, as well as shampoo. Bea Johnson, mentioned in Tip #10, stopped using conditioner altogether. Me? I stopped using those plastic shower poufs. Use a wash cloth or an Organic Bamboo bath pouf. These are made with an Eco-friendly blend of 70% organic bamboo and 30% organic cotton. Use matches instead of buying plastic lighters! Scary fact #3! I read a stat that claimed if all disposable lighters in one year were put in a long row, you would go around the Earth 5.5 times! Most matches are made in Sweden. Swedish Match has now developed a sulphur free match, using an environmental friendly iron-phosphorus compound. And, of course, spread the word! Share what you read here and those habits you’ve adopted with your friends and loved ones. Your passion and recommendations may be the best way to get people to change. Even small actions can have long and lasting impacts on the environment. All life around the globe is connected to the ocean and its inhabitants. The more you learn about the issues facing our ecosystems, the more you’ll want to help ensure its health—and share that knowledge to educate and inspire others to do the same. 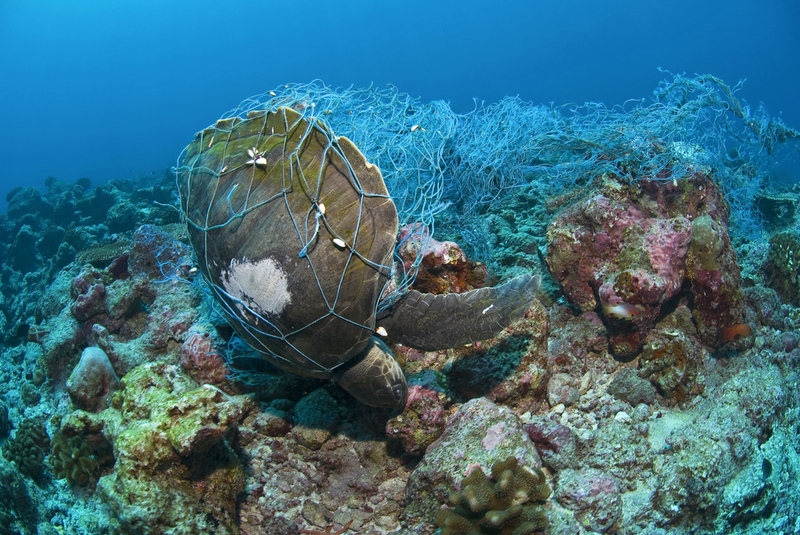 Learn more about the impact of trash on our ecosystem with Project Aware. We’d love to hear from you! Let us know what you changed in the everyday or plan to do to help lead a more eco-friendly lifestyle. Share your images and tips and help spread the word.